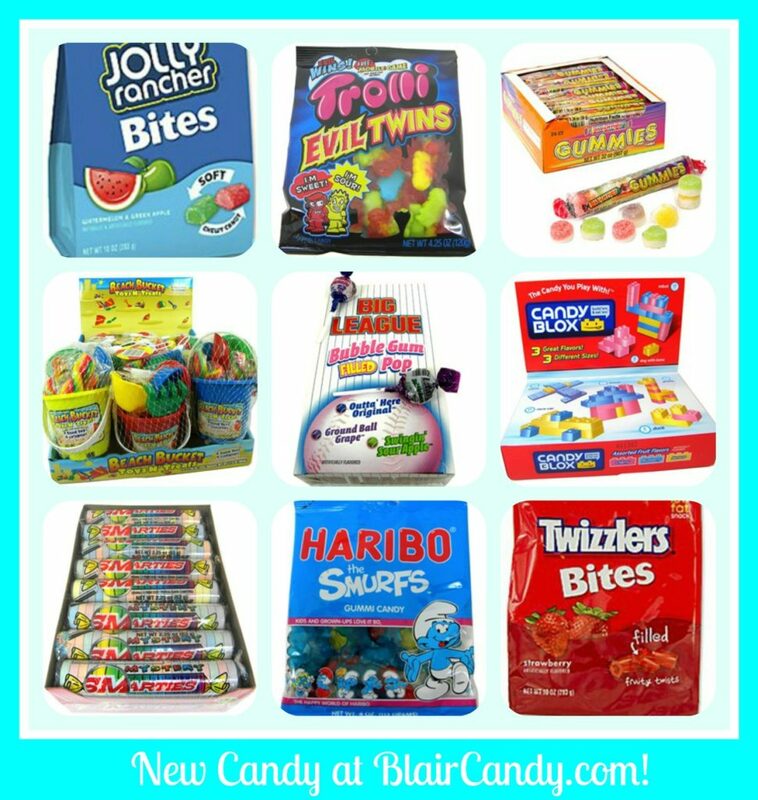 Sweeten Up this Spring with New Candy from Blair! Smarties Gummies – 24 rolls per box – 10 yummy gummies per roll! In flavors of strawberry, orange, lemon, green apple and grape, this latest addition to the Smarties family of flavor is a two-toned gummy with a slightly creamy side. They are gluten-free and vegan, but are made in a facility that processes wheat and milk ingredients. And… they’re delicious and unique! Relying on the same style packaging as Smarties, they really stand out in a candy bowl or favor bag. Candy Blox – 4.5 oz. box – tons of fun inside! The moment Candy Blox arrived at Blair Candy headquarters, yours truly was tearing open a box with childlike excitement and anticipation of supremely sweet fun. Let’s just say I wasn’t disappointed! While I was eventually pleasantly surprised by their terrific fruity flavor, the fun started way before I chomped down on one. These candies are actually designed to be played with, and play with them you will! Just be sure to wash your hands first, because eventually your taste buds will start calling the shots and you’ll find whatever you’ve built working its way toward your mouth! 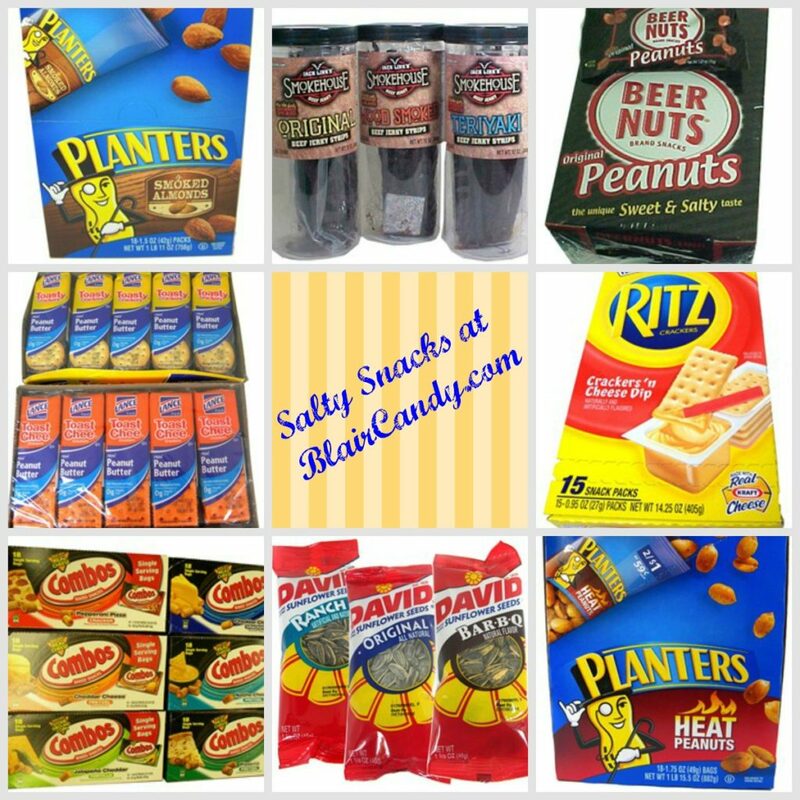 Jolly Rancher Bites – 10 oz. bag – Go ahead – bite ’em! Love the impossibly fruity freshness of Jolly Ranchers, but simply can’t resist biting down before the time is right? Jolly Rancher Bites are here to save the day and your teeth! And, this bag in particular stars 2 of the most sought-after flavors – Green Apple and Watermelon. With over 100 pieces of flavorful goodness inside, Jolly Rancher Bites are the best of both worlds – Jolly Rancher yummy in a gummy!